Slowly getting back into the groove of things after being MIA from blogging and breaking my big toe. Last week I got surgery to re-set my crooked toe and I’m pretty sure I was talking about mermaid crowns the whole time I was under anesthesia. I think I told the doctor he would look great in one, which isn’t a lie since even my boyfriend looks like some magical under the sea god when he jokingly steals them for his snapchat story. Before my surgery, I was basically stuck indoors like a spoiled cat for two weeks. These photos are a result of me deciding I really couldn’t take being inside anymore, and even if I was going to end up breaking my other toe I had to get out and adventure. It seems like Santa Barbara is still stuck in a heat wave so thankfully I had this lightweight dress from Gold Dust Dresses to keep me cool. I layered up in tons of jewels and walked into the wilderness, hoping that I wouldn’t somehow end up in a horrible situation where a mountain lion was about to attack me and I couldn’t run away since I was hobbling around like a zombie at that point and running was out of the question. Thankfully, I didn’t see any mountain lions, but I did run across a super cute family of deer who scattered off into the mountains and directed me to a lovely lone tree. I’ve visited this tree before during one of my very first blog shoots, but to see its branches completely bare made me feel like I stumbled upon a new location. 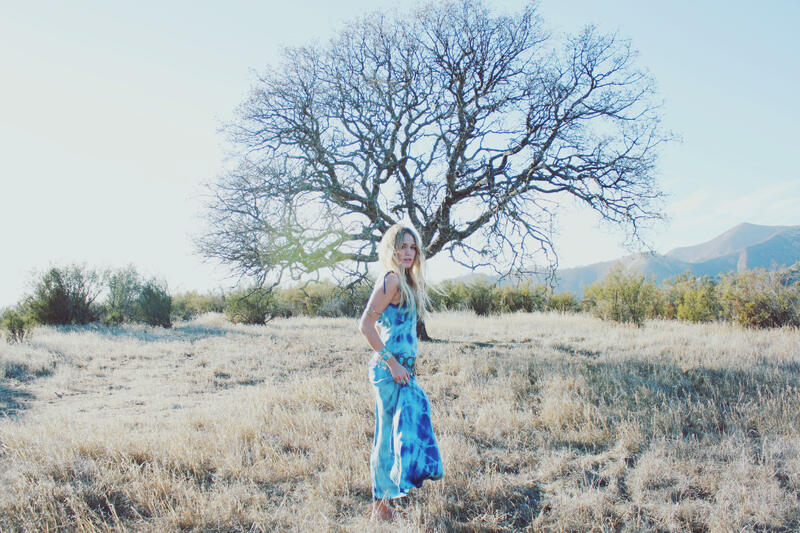 I delicately walked around the area and let the fading light shine on this magical tie-dye dress. I’m honored to once again feature Gold Dust Dresses on my blog. This label has been with me since the very beginning and every time I get to wear a special dress from Roxana, I am so honored. This dress is a special little number in collaboration with Lookout & Wonderland, made of silk and hand-dyed to perfection. I kinda never want to take it off. Thanking my lucky stars that I am on the road to recovery and will soon be able to walk instead of zombie hobble. 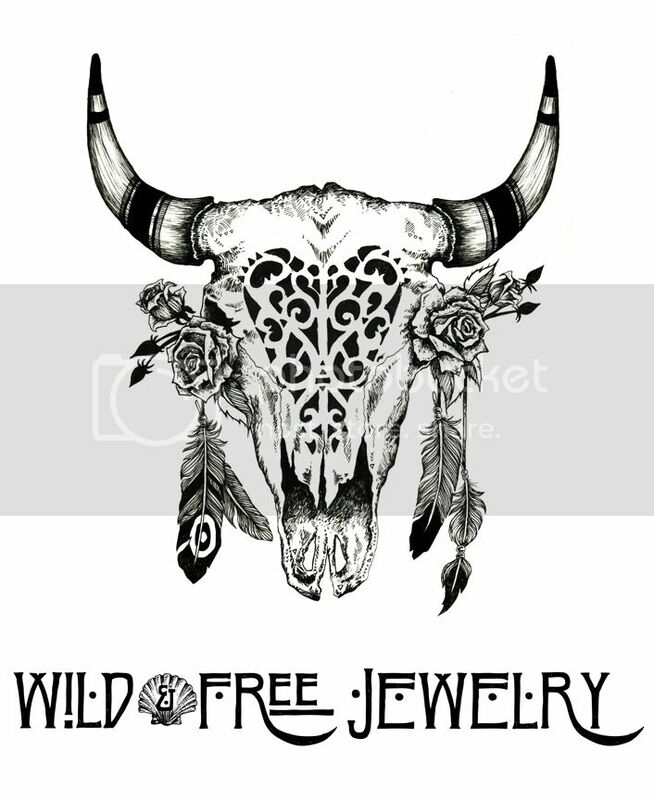 Posted in the wild & free blog and tagged bright star and buffalo, eclectic bling jewelry, gold dust dresses, lookout and wonderland, torchlight jewelry, wild and free blog. Bookmark the permalink.